Screen shot of Amazon page promoting the French Edition of Star Sand by Roger Pulvers. Star Sand (Hoshizuna Monogatari) by Roger Pulvers will be published in France next month, the first of his more than 40 works to be published in French. Star Sand was originally written and published in Japanese by Kodansha, Japan’s largest publisher in 2015, and subsequently in English in 2016. A full-length Japanese feature film of the novel will be released this summer, directed by Pulvers, who also wrote the screenplay. The film’s official world premiere will be held on the 22nd of April at the Okinawa International Movie Festival. In 1958, a diary is found in a cave on the small Japanese island of Hatoma. Alongside it are the remains of three people. The journal reveals the story of Hiromi, a sixteen-year-old girl who’d grown up in the United States before living in Japan in the midst of World War II. One day, while collecting star sand—tiny star-shaped fossils—Hiromi finds two army deserters hiding in the seaside cavern—one American, one Japanese. The soldiers don’t speak the same language, but they’ve reached an agreement based on a shared hope: to cause no more harm and survive. Hiromi resolves to care for the men—feeding them and nursing their ailments—despite the risk that, if caught, she’ll die alongside them as a traitor. But when a fourth person joins in on their secret, they must face a threat from within. The diary abruptly ends, leaving everyone’s fate a mystery. Decades later, a young female university student decides to finally determine who died in that cave and who lived. Her search will lead her to the lone survivor—and bring closure to a gripping tale of heroism at a time when committing to peace was the most dangerous act of all. Red Circle Authors Limited is a specialist publishing and communications company that conducts bespoke projects on behalf of a carefully selected and curated group of leading Japanese authors. Red Circle showcases Japan’s best creative writing. For more information on Red Circle, Japanese literature, and Red Circle authors please visit: www.redcircleauthors.com. Roger Pulvers is an author, playwright, theatre director, and translator. He has published more than 50 books in Japanese and English, including novels, essays, plays, and poetry. Helping make Merry Christmas, Mr. Lawrence, and befriending David Bowie brought him back to Japan and inspired him to become the award-winning and prolific author, playwright, film director he is today. 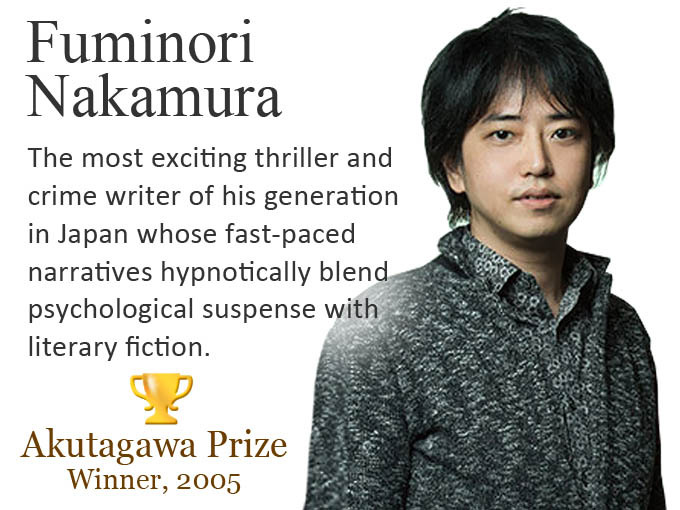 His recent novel, Hoshizuna Monogatari (Star Sand), which he wrote in Japanese, was published by Kodansha, Japan’s largest publisher, in 2015 and subsequently in English and French in 2016 and 2017 respectively. It was released as a film, directed by him, in 2017.